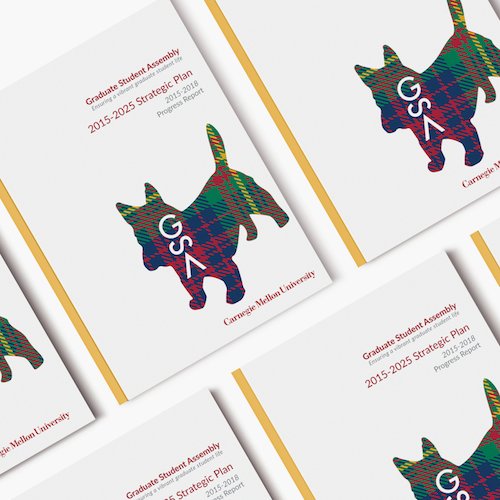 Document design for a local university Graduate Student Association. 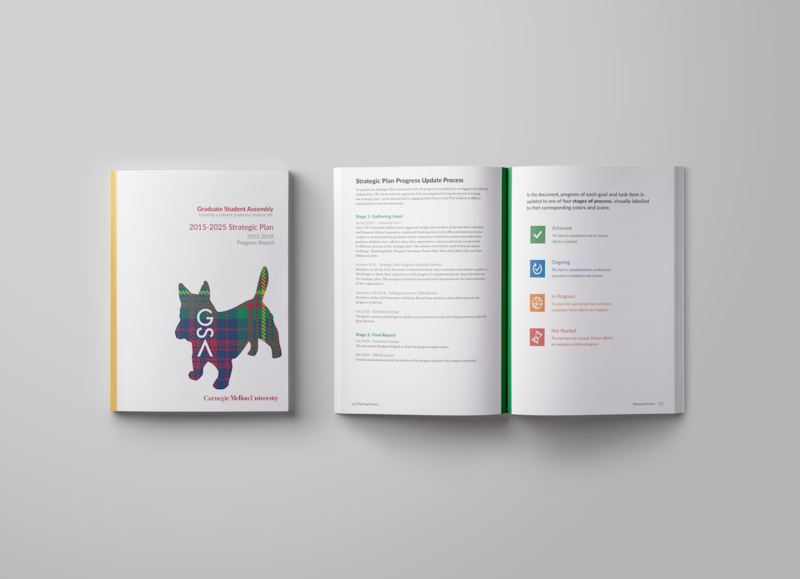 The booklet contains a 10-year strategic plan for future goals and tasks that the Association will achieve, in collaboration with other stakeholders. The document serves as the first milestone to the 10-year journey.